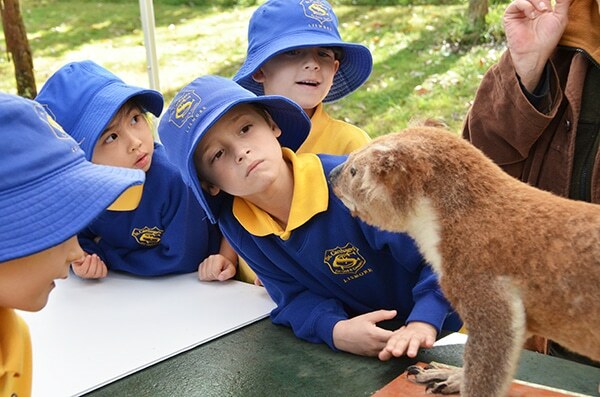 Around 200 students from across the Northern Rivers primary schools attended the day and took part in a range of activities looking at environmental issues, from stormwater health and recycling initiatives to koala conservation and renewable energy. Waste Education Officer Barbara Jensen said World Environment Day provided Council with the perfect opportunity to instil good environmental values in young people through fun activities. “Young people really love to absorb environmental information and often feel passionate about issues of recycling, water and animal health, and renewable energy,” Barbara said. “They are the best advocates for changing old habits, and they take learnings back into the home, often teaching and encouraging their parents to become better recyclers and think about energy and waste usage. Students had the opportunity to participate in a range of activities focused on experiencing and preserving the environment. The 45-minute activities included bus tours of the Lismore Recycling & Recovery Centre, water experiments assessing water health in the dam, guided walks through the Lismore Rainforest Botanic Gardens, activities with Friends of the Koala, performance-based education with North East Waste’s The Greenhouse team, and examining critters under the microscope with Southern Cross University’s research lab staff.